AFTER five weeks of repairing fences, clearing properties and preparing meals, the BlazeAid storm recovery volunteer team will pack up their belongings this week and go back to their normal lives. 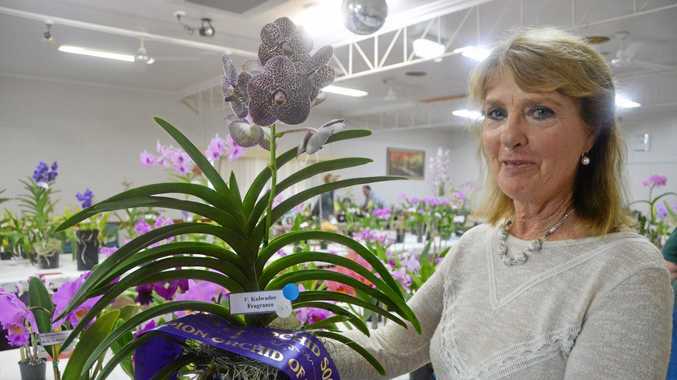 BlazeAid coordinator John Lillico was full of praise for the 52 volunteers who have given so selflessly and he acknowledged them all at the thank you dinner on Saturday night. "In terms of community spirit this is the best region I have been a part of," he said. The October storms caused extensive damage to many South Burnett properties and the BlazeAid team came in and got straight to work. "Storms are so much harder than fire clean ups," Mr Lillico said. "There is so much to repair with a storm recovery." 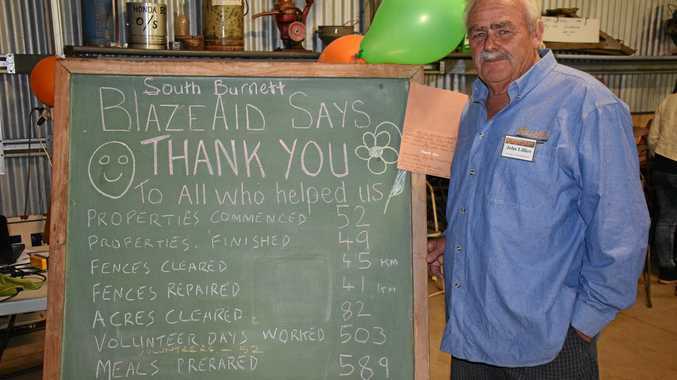 Close to 600 meals were prepared during BlazeAid's time in the region. South Burnett Regional Council Mayor, Keith Campbell and Deputy Mayor, Kathy Duff rewarded the volunteers with hampers and grocery vouchers for all the storm affected property owners. "Thank you to Kingaroy Vintage Machinery club and the Kingaroy Men's Shed for all their assistance," Cr Duff said.